Bos Gaurus, pic by Vimal B. 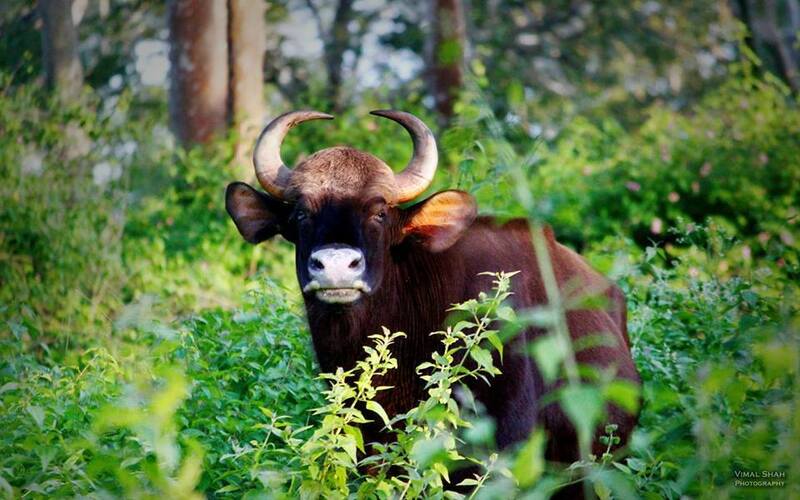 In 1820, Roughsedge wrote Secretary Metcalfe in Calcutta that the HOS were ‘as much superior in size and form to the tame tribals, if I may use the expression, of Chotanagpur, though of common origin, as wild buffaloes are to the village herds’. Two years before, in May 1818, he had been the host of a hunting party in the Mainpat, a largely deserted elevated tableland of Surguja. The party discovered what they thought was a new bovine species, the Bos Gaurus. The spectacularly large animal (170–220 cm shoulder height) was living in ‘wild and romantic retreats’ of sal forests, quick to the attack, and hard to kill. It took Roughsedge sixteen to seventeen bullets. The Gaur, he was told, ‘will not brook captivity; even if taken very young the mountain-calf droops and dies’. The expedition’s account and its discovery reached scientific journals in England and Germany. One of these sent Roughsedge’s account to E. Desbassayns, the son of the governor general of the French possessions in India and possibly a participant in the hunting trip. With this international angle, Roughsedge could count on Secretary Metcalfe to appreciate the reference. The expiatory phrase ‘if I may use the expression’ stressed the double entendre of this observation. NB. A few decades later, the wood of its forests was sold by the widow of a Maharaja of Sarguja, ‘ a very money-loving old lady’, as E.T. Dalton described her in 1872. After that, it became, still according to Dalton, a ‘ great grazing tract’.